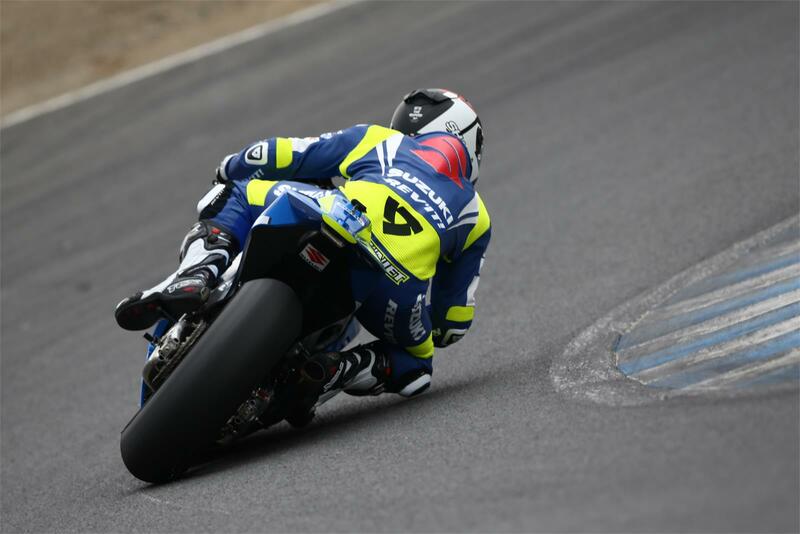 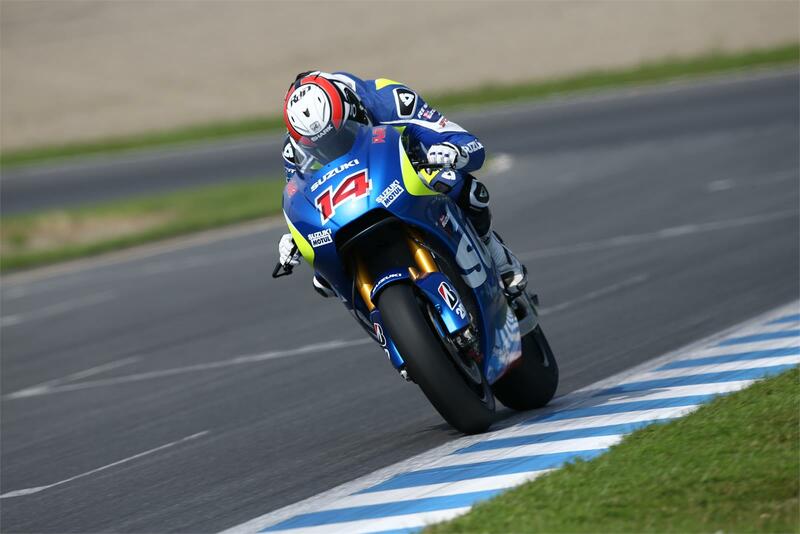 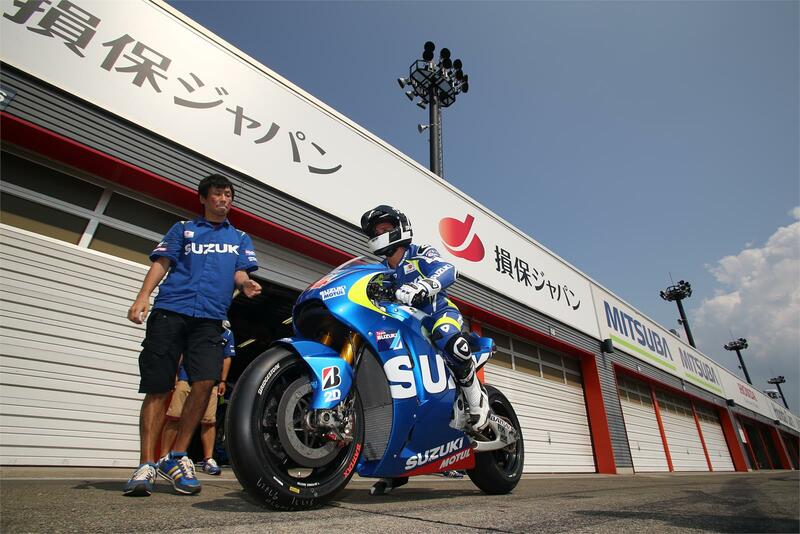 The Suzuki MotoGP Test Team completed a successful two-day test at the Twin Ring Motegi today after being hampered by poor weather conditions yesterday. 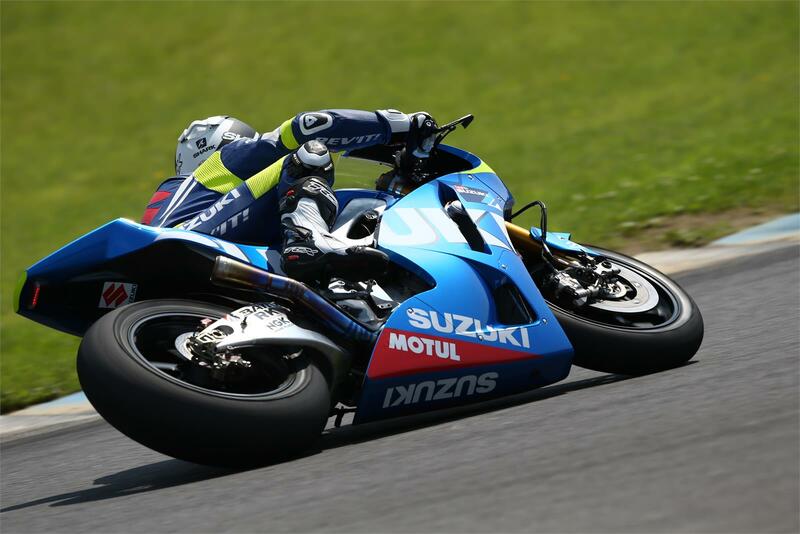 Heavy rain on Tuesday, just after the circuit opened at 10am, halted track testing for all the teams involved until 9am this morning; which saw air temperatures of 30 degrees and track temperatures reaching 50 degrees. 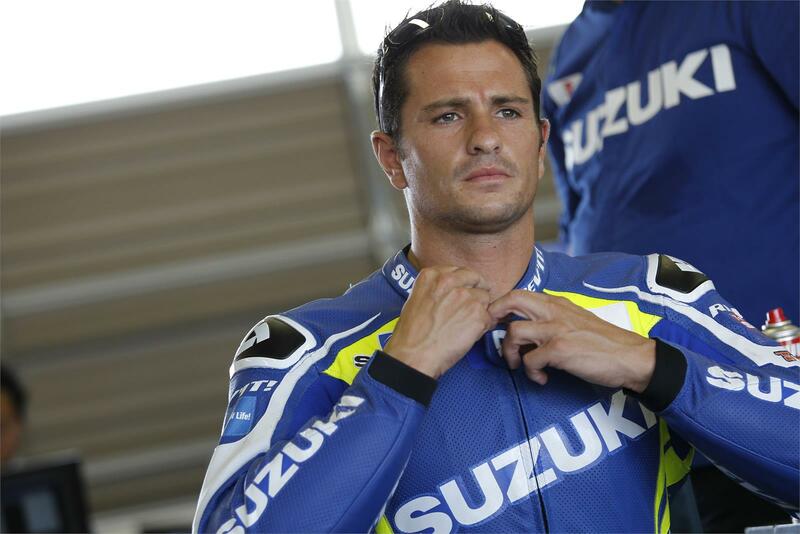 Suzuki MotoGP Test Team rider Randy De Puniet suffered two small crashes in the morning session, but with only minor damage to the machine, he was back on track this afternoon, making important progress and successfully testing two new chassis configurations; one of which the team has chosen to develop further at the next Suzuki MotoGP tests in Italy at Misano next month to obtain more edge grip and stability. 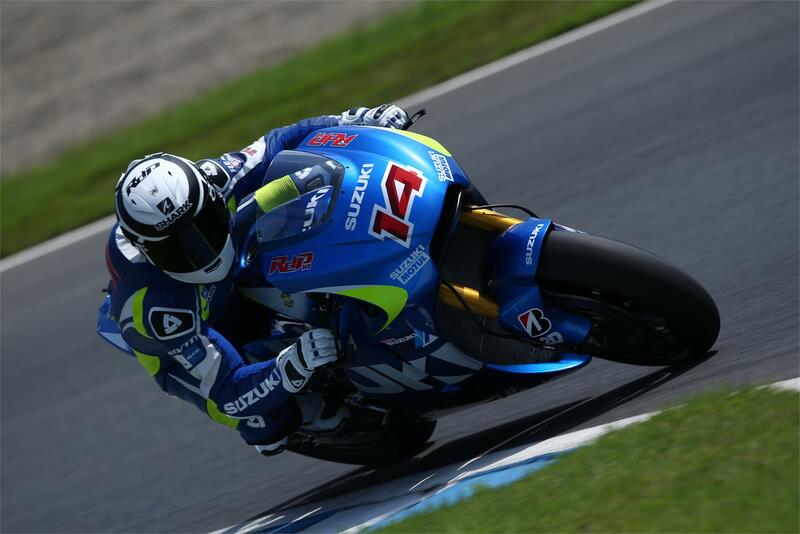 De Puniet’s best lap time this afternoon was 1’48:60, which was slightly slower than his previous test times at Motegi, but in-line with the other riders’ lap times in less-than grippy conditions and very hot conditions. 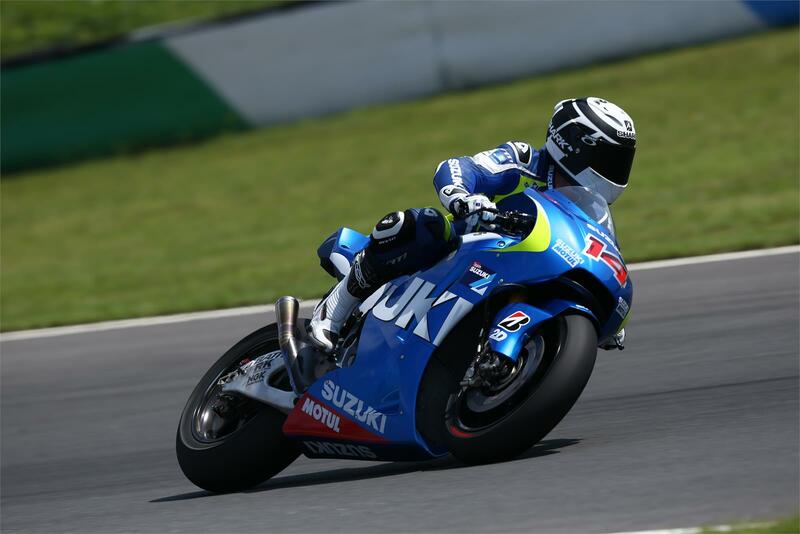 De Puniet was also joined by Suzuki MotoGP Test rider Nobuatsu Aoki, who completed five evaluation laps towards the end of today’s session. 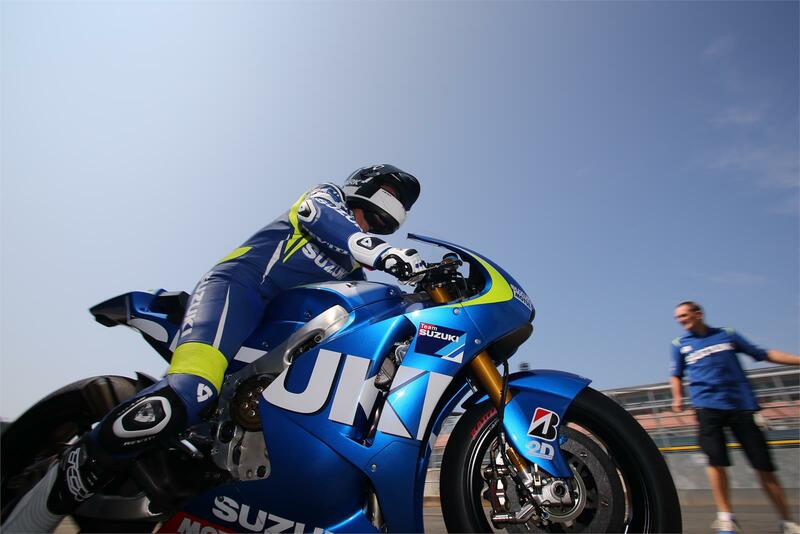 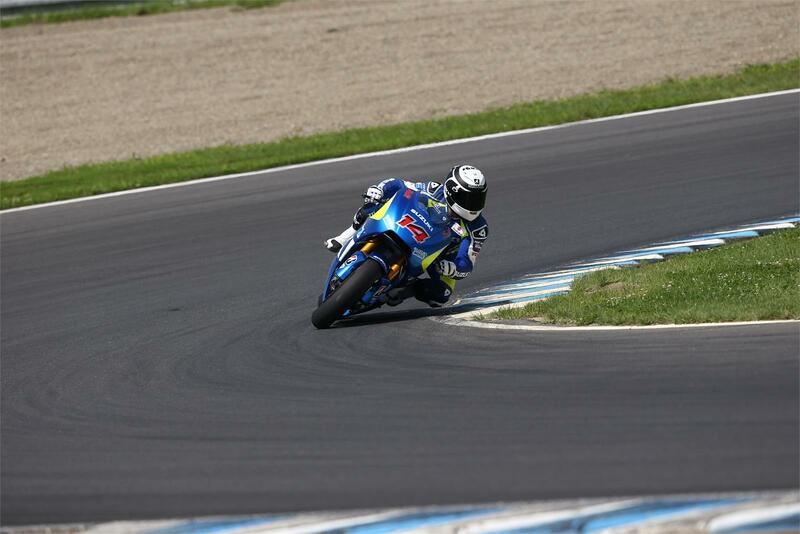 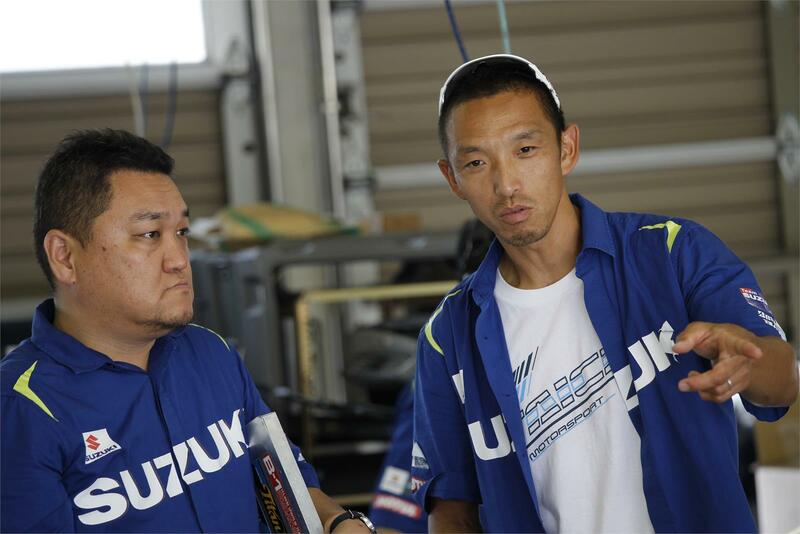 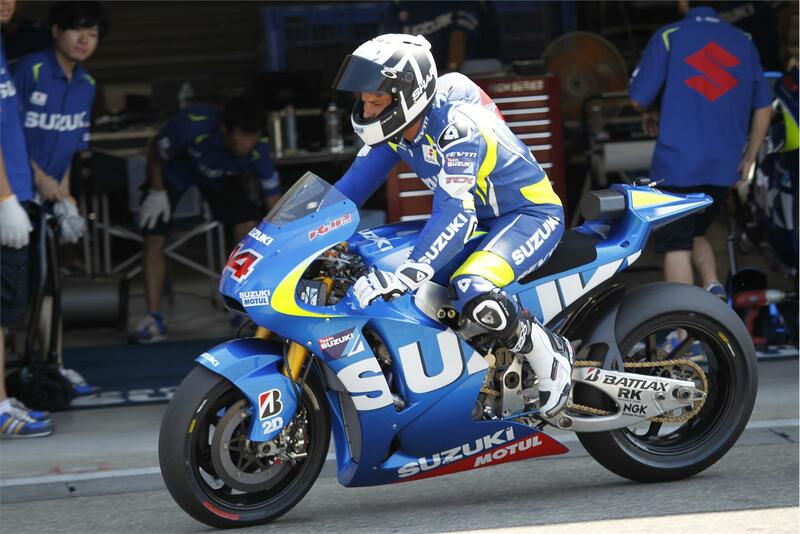 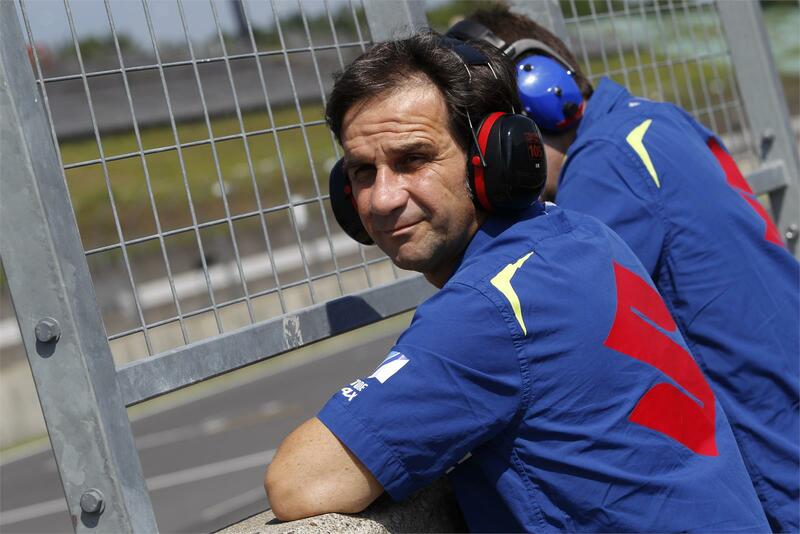 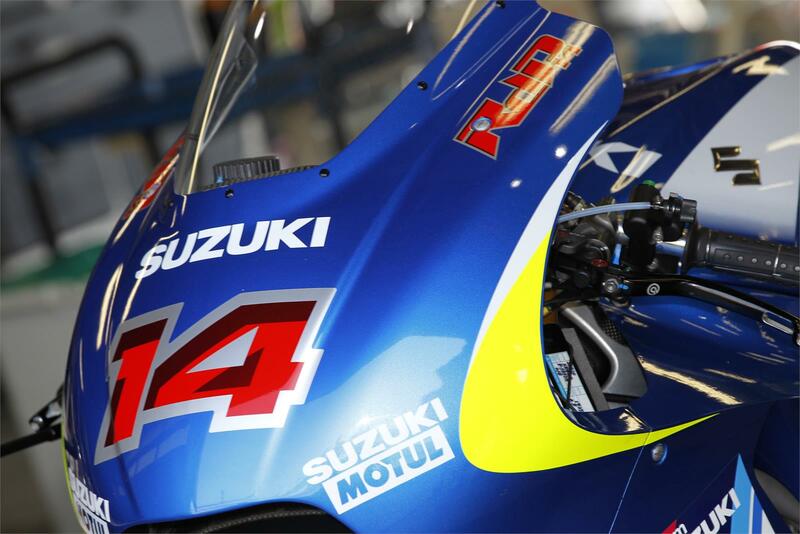 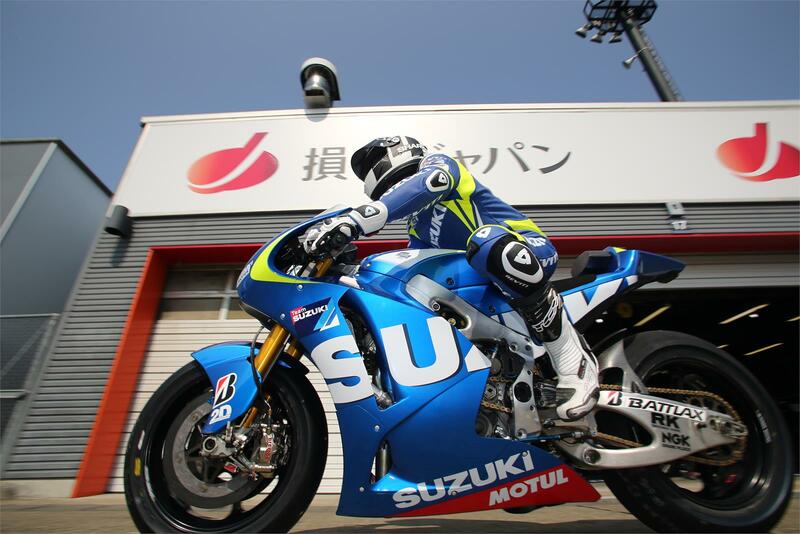 The Team Suzuki MotoGP Test Team will be next on track at the official IRTA Tests at Misano on September 16-18th.